It wasn’t just cars at Cholmondeley, there were boats, planes and bikes too. During a break in the track action we wondered over to the vintage motocross circuit, which actually looked like organised chaos, but was fun to watch. The rider above caught my eye, he wasn’t the fastest there (possibly due to not wearing goggles!!!) 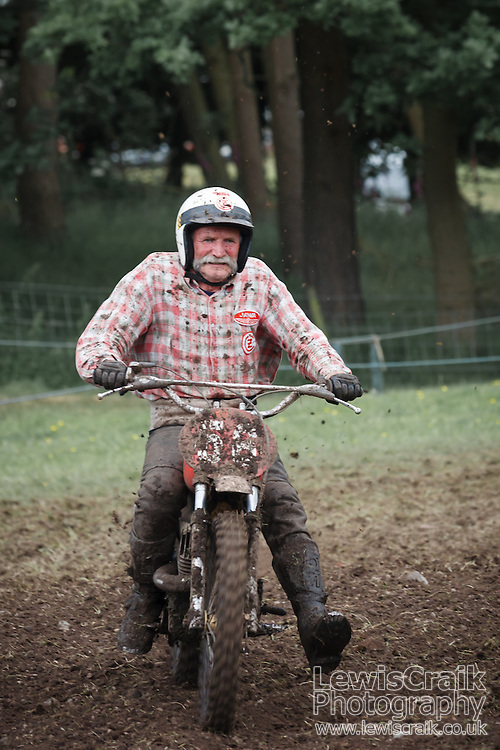 but his look and demeanour in the pits gave off the impression of a lifelong passion for motocross. While I was writing this post I also came across this vintage motocross video on the Drive Network on YouTube, which is a must subscribe for petrol heads, it’s like Top Gear, but with the banter to cars ratio reversed, so it is a lot more car focussed!